I know it's a lil' early for Christmas, but I couldn't resist. This stocking advent calendar was just too fun not to share. The best part is I've got a giveaway for you too! You can win a Cricut Explore, the craft machine I used to create these perfectly shaped stockings! Upload the Cricut stocking template into a new file in Cricut Design Space. Delete the white space around the stockings. Adhere the white felt onto the cutting mat (make sure it is super sticky still) and upload into the machine. Cut out the template onto the white felt using the machine. Next, upload the Cricut numbers template into a new file in Cricut Design Space. Delete the white space around the numbers. Adhere the black felt onto the cutting mat (make sure it is super sticky still) and upload into the machine. Cut out the template onto the black felt using the machine. Sew two white stockings together. 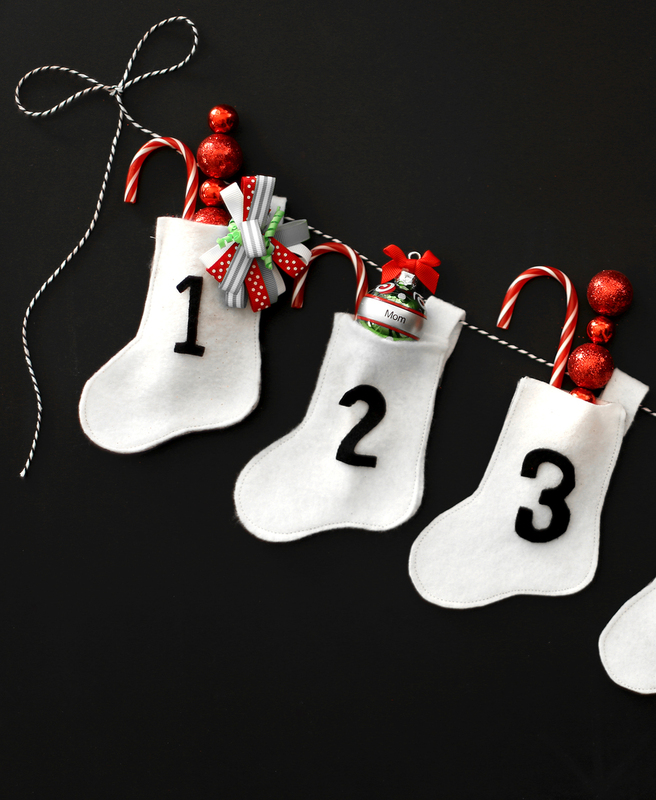 Glue the loops to the back of the stockings and the numbers onto the front of the stockings. Finally, fill with your goodies! 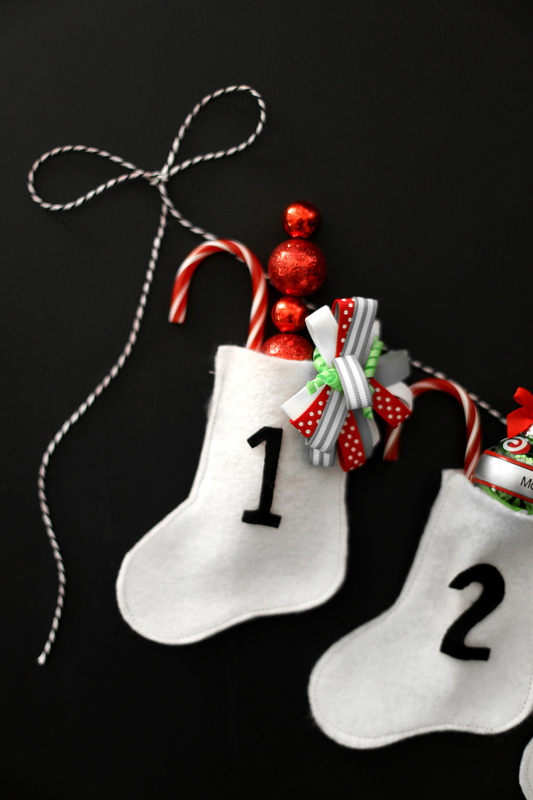 Print the printable stocking template and the printable numbers template onto some card stock. Cut out the stockings and numbers. Trace the stockings and loops onto white felt. Cut out the stockings and loops. Next, trace the numbers onto black felt. Cut out the numbers. Sew two white stockings together. 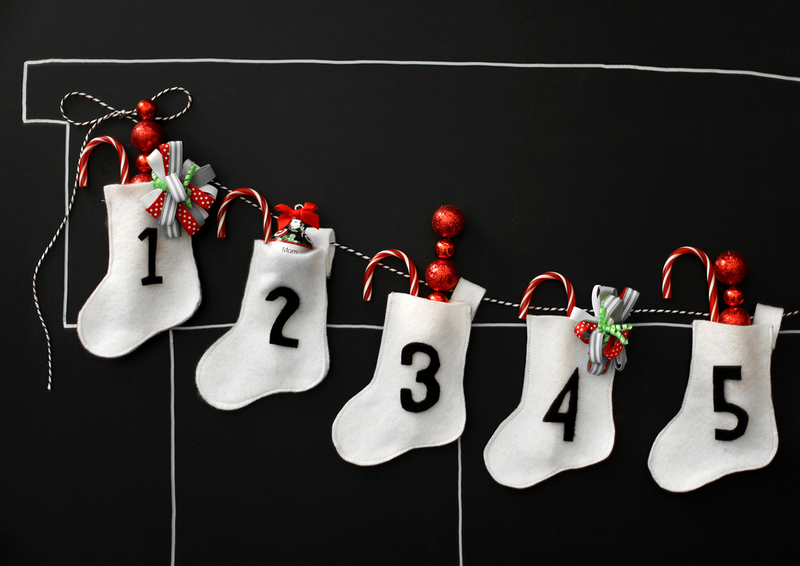 Glue the loops to the back of the stockings and the numbers onto the front of the stockings. Finally, fill with your goodies! And now the giveaway! I'm so excited to do this Cricut Explore giveaway. 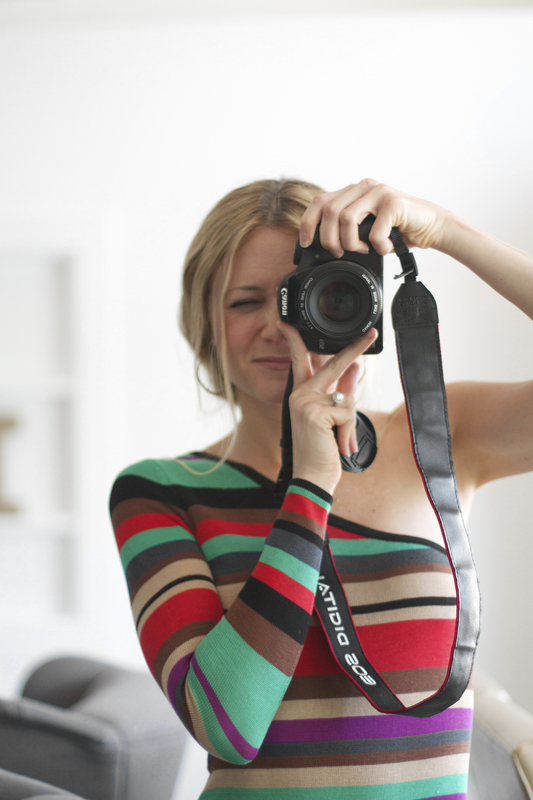 Have you guys seen the new print + cut technology? It's pretty bomb. Enter through the rafflecopter below! If you didn't win a Cricut Explore, don't fret my precious pet, Cricut is having an unbelievable sale right now! Here are the deets! Click on the image or click on the link below the image to get taken to the sale. EXCLUSIVE BLACK FRIDAY + CYBER MONDAY SALE!!! CLICK HERE FOR THE CRICUT EXPLORE SALE!